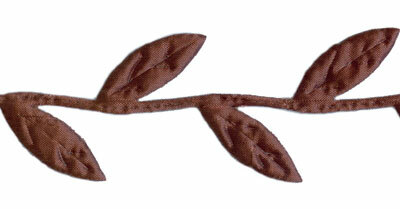 1.5" wide dark brown leaves trim by May Arts. 100% polyester. Sold by the foot (12").